Argentina is a large South American nation renowned for its vibrant cities, Andes mountains, glaciers and pampa grasslands. 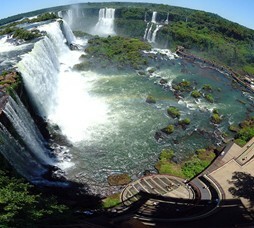 Argentina is renowned for its Tango dance, Iguazu falls, orchestras and music. Argentina is associated with its passion for football and wide ranging attractions and experiences and is visited all round the year. 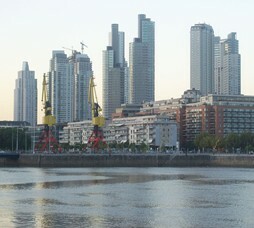 Visa: Indians are required to obtain pre-approved Visa to travel Argentina. Visa needs to be taken at least 3 weeks prior to travel. Interview will be held and tourists can make arrangements post the visa is granted. 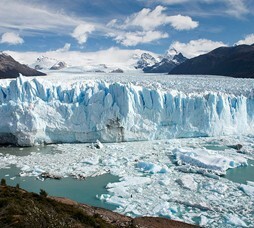 Season: December to March is the best season to visit Patagonia – South of Argentina. The rains that have fallen at the Iguazu Falls means the volume of water roaring over the falls is high and the scenery here is dramatic. The middle of June usually signifies the start of Argentina's ski season; focused around the Bariloche area where the best snow settles. It is also in late June that the southern right whales arrive at the Peninsula Valdes. Weather in Buenos Aires is generally hot over these months but a visit in the cooler, crisp months of July and August can be delightful. September and October are good months to visit the Peninsula Valdes. It's a great time for wildlife lovers, and you can expect sightings of whales, seals, penguins and lots of seabirds.